An electrical burn can result from electrical accidents at home or at work. Unfortunately, those most vulnerable to electrical accidents at home are children, who may play with dangerous outlets or electrical cords when unsupervised. 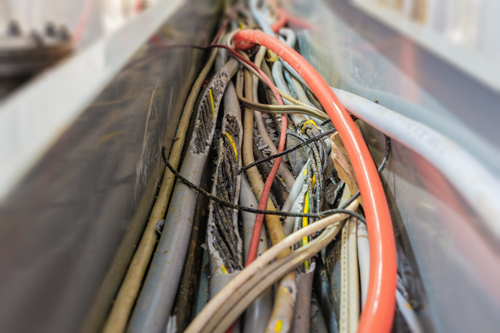 At work, some of the most serious electrical accidents result from contact with power lines or high voltage wires, possibly causing workers to suffer from major electrical burn injuries and even death. If you or a loved one has suffered injuries caused by an electrical accident in Georgia, contact our experienced electrical accident attorneys at Rechtman & Spevak today. You may have grounds to file a workers’ compensation claim if your injuries were sustained at work, and our qualified electrical accident lawyers in Atlanta can help. Coming into contact with an electrical current can cause you to suffer from a severe electrical burn injury. Unfortunately, electrical burn injuries are typically associated with much more serious health complications than most other types of work-related burn injuries, including possibly leading to internal damage, heart fibrillation, brain damage, and damage to the nervous system due to electric shock. Some injuries caused by electrical accidents may damage the underlying bones, nerves and muscles, and some require extensive treatment such as skin grafts and long-term rehabilitation. The construction industry is inherently dangerous, and construction workers are exposed to serious hazards on a daily basis just by showing up to work. Unfortunately, many accidents on construction sites occur because of avoidable factors, including poor employee training, failure to comply with OSHA regulations, and failure of the employer or site supervisor to provide adequate safety equipment. If your injuries were caused by an electrical accident on the job site, you may be eligible for medical benefits or disability benefits under Georgia’s workers’ compensation laws. Injured workers may be eligible for additional compensation by filing a third party liability claim if their injuries were caused by another party not employed by their employer; for example, if their injuries were caused by a defective tool or piece of equipment. According to the American Burn Association, one million people suffer from burn injuries in the United States each year, and an estimated one-third of these victims are children. If you have sustained a burn injury from an electrical accident in Atlanta or Marietta, or if you lost a loved one in such an accident, contact our electrical accident attorneys at Rechtman & Spevak to discuss your legal options. You may be have grounds to file a workers’ compensation claim for medical or disability benefits, or a claim for death benefits like funeral and burial costs. With the help of our qualified electrical accident lawyers, victims of electrical accident injuries in Georgia can protect their legal rights and seek fair and timely reimbursement for their injuries.